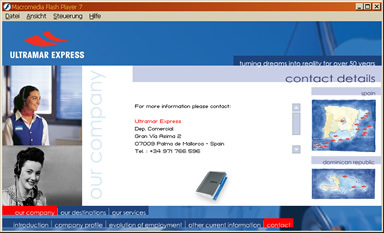 The client wanted to convert his PDF promotion book into an attractive Flash website. 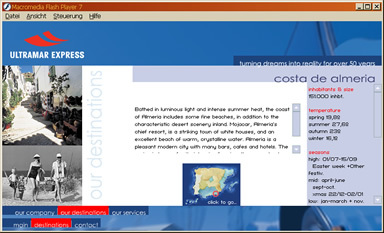 I created an entirely XML based Flash website, so all menus, texts, image links and even some settings could be modified easily. Translating it also became as easy as editing one text file. There were more than 40 pages of content. 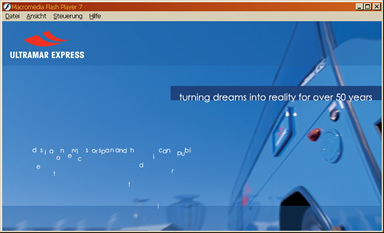 My work consisted in 90% ActionScript programming, and the resulting interface was just 60 Kb. 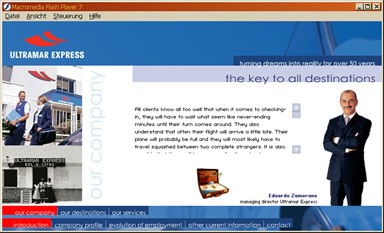 It was reused one year later (2005) for a second web site from the same company. One thing I was proud of was the image slider component I created. I was able to specify in the XML file that in a certain area of the website I wanted to show a number of images. 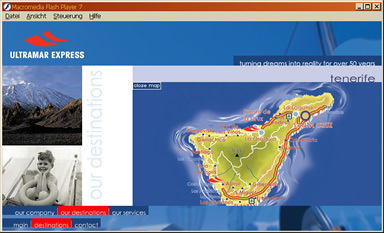 A slide show with configurable transitions would display those images. If they didn’t fit the desired area they would scroll smoothly, creating an effect that resembled a movie instead of a static photo. It was like a non-interactive version of Slideshowpro.